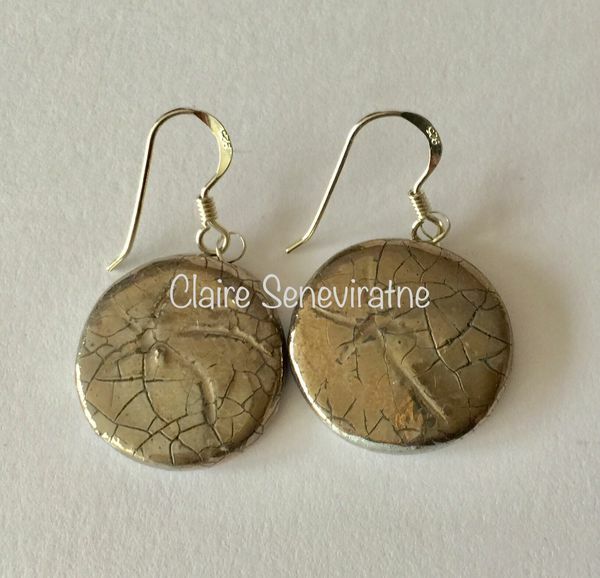 Claire Seneviratne - Ceramic Artist: Round ceramic earrings with silver lustre. Round ceramic earrings with silver lustre. These round silver earrings are very light and comfortable to wear. They are made of porcelain and a silver lustre has been fired onto them in my kiln, which contains 10% real platinum. All of my pieces are individual and an exact copy of the surface markings is not possible. The earwires are sterling silver.